One of the most important steps to writing an essay is the planning phase. 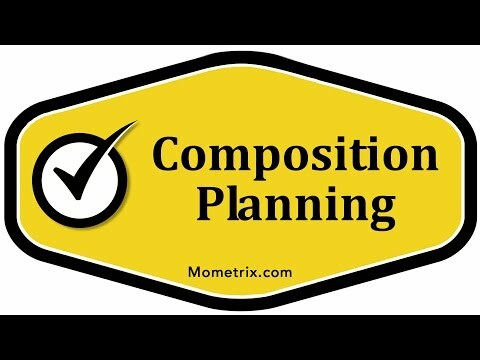 When planning a composition, it is recommended to consider the topic, length, format, intent, resources, audience, and depth of topic of the composition. Each of these factors can change the essay. The following are some planning exercises that may help you plan out your future essays: Listing, which is the process of writing out facts, opinions, ideas, and questions about your topic and writing based on this list; Take notes while researching your topics; Develop a concept map, which entails setting up a main topic and having sub-topics branching off of the main topic; and Outlining, which is similar to the concept map, but less visual and organized a little more similarly to an actual paper where there is a written main topic and the sub-topics are written below the main topic. When you’re getting ready to write a composition, you’re going to have lots of drafts before you come up with your final copy. A good planning stage can get you a nice, full first draft to start working from. When you are planning for your composition, consider the topic, link, format, intent, resources, and audience. What is your paper going to be about? How long does it have to be? Is it a required amount or do you get to pick? What’s the format going to be? Is this supposed to be a research paper or a more casual essay? What’s the intent? What’s the purpose of your paper? Are you writing to persuade, to entertain, or to inform? 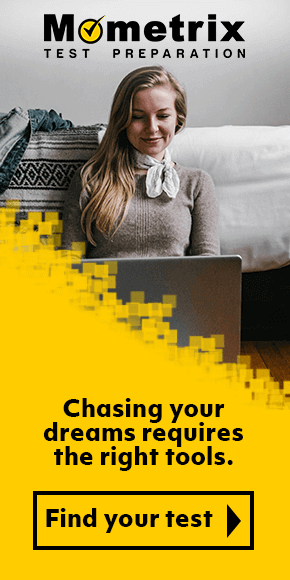 What are you writing for? What are your resources going to be? Are you just going to be writing about your own ideas, or will you have to go out and find more resources? 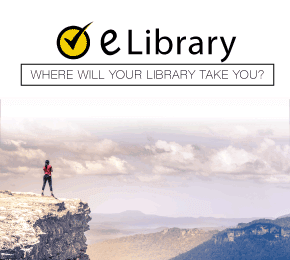 If you’re writing a research paper, you’re probably going to have several credible resources. Who’s your audience intended to be? Is it someone you have to persuade? Is it for your friends and peers? Is it for a supervisor? Is it just for your teacher? Who is your audience? Also, think about space. Whenever you pick your topic, is it too big or too small? If you’re writing a research paper, you can’t have a small topic; you’re going to have to have plenty to write about. If you were writing a small essay, you can’t pick something too big, or you’re not going to be able to fit everything about your topic in that one short essay. Pay attention to all of these things whenever you’re first starting out your planning and thinking process for your writing. Then, you can start working with some planning exercises. One exercise is listing. You can list facts, opinions, ideas, questions, or anything that you can think of that you can quickly jot down as little ideas that might be good for your paper that you can come back to and think on later and expand upon. Write them down. The more you get down on paper or in the computer to begin with, is going to be the more you get to work on that edit and expand on later. Start with as much as you can get here, and then you can work on organizing it once you get it down. Try to get it down in the planning stage before you get too caught up in your other main ideas. Another planning exercise is to take notes. This is mainly with research papers. If you find sources that you like, take notes on what you liked out of them. Make a copy of the specific section you’re interested in, and take notes out to the side or stick a Post-it® note or a piece of paper with the copy of the actual source and write down the notes on it. Write down what you liked about it and what your ideas were about it, because you are in the moment right then. You know what you’re thinking, but later on, when you look at that source, you may say to yourself, “What I want this for? Where was I going to use this in my paper?” So, having those notes handy would really help you out in the future. The other thing you can do is make a concept map. This is a kind of visual organization. It’s where you have one idea in the center (they’re not all going to look like this), but let’s say we had warm vacations that we were talking about. We might put Florida, and then we might put Hawaii. I might put Cancún, and let’s just go with Texas. All of these are warm spots you could go to for a vacation. Now, within each one of these, you could talk about what you might do there. In Hawaii, you might go to the beach, you might ride horses, you might go on a tour, you might learn how to surf. There are different things that you could do. Having it laid out in more of a visual map, rather than just written out in outline form, may help some people. If you’re a visual learner, you might want to see a map like that where you’ve just got a main tree with all the little branches on it. If you were going to talk about cold vacations, you could come down here and talk about those. You could put Alaska on there. We might put Minnesota. We may put Vancouver. Then, for each one, you might talk about what you would do there. In Alaska, maybe you’ll take a cruise, maybe you’ll go on a hike, and maybe you’ll go fishing. You’ve got these different areas where you’re outlining your different main ideas, and then your sub ideas, and then you’re even more specific details for each one of those. A concept map can really help those who are visually organized or those who are visual learners. The last thing that you’re going to work on is an outline. This is going to be at the end of planning, because you don’t know exactly how your paper is going to be organized when you’re starting out. You want to get all these ideas on paper. You want to get every idea, f act, opinion, question, or thought down on paper first. Then, you can organize it better. You can see what all you have and see how you want to group all these different things. You want to wait until you’re at the end of your planning stage to work on your outline, but it’s going to start with your thesis statement. This is like a main idea summary. You’re going to come up with supporting ideas that support that main idea, then supporting details that support each one of these ideas. An outline form is generally going to look like this. Your very big ideas are going to be Roman numerals (I, II, III, etc.). You’ll probably need more than three, because this would only be two ideas and you still need a conclusion. You might have “Idea 1”, then here you’ve got “Detail 1”. Each time you go down a step in this, or a level in this outline, you’re going to change the way it’s organized. First, we start with Roman numerals, then we start with capital letters on the next level, then we go to Arabic numerals for the next level down. This would be like where we’re talking about these places over here. You may have “I. Warm vacations”, and then you may have “A. Florida B. Cancún.” “II. Cold vacations”. You might have “A. Alaska 1. Cruise 2. Hike” and you would keep going even further if you had more organization and was broken down into even more details. You could use lower case Roman numerals (i, ii, etc.) You could use lowercase letters to keep going further into the levels if you had details about details about details in your paper, if it was that thorough. Remember, whenever you’re planning your composition writing, don’t stress over it. Don’t think, “Oh my gosh, this is so big. I don’t even know where to start.” Just start. Start listing things, start free writing, take notes on research you’re finding, think about what your topic is going to be, think about how long your paper has to be. You want to pay attention to all of this stuff, because if you’re not sure what you’re going to write about yet, you can at least start writing something. The most important thing is to start writing. Get something on paper, and then start working on some of these planning exercises. You want to be able to get everything organized, but, before you can organize it and create the perfect paper, you have to get something written on that paper.